In this experiment, Tuszynski, and his colleagues and collaborators used rats that had suffered spinal cord injuries and had trouble moving their forelimbs. 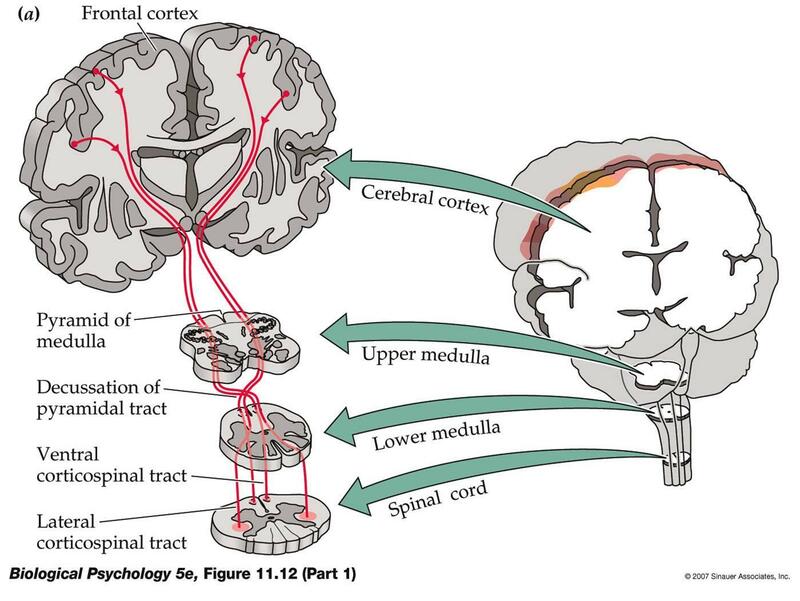 Then they implanted grafted multipotent neural progenitor cells (MNPCs) into those sites within the spinal cord that had suffered injury, where corticospinal axonal tracts had been severed or damaged. The MNPCs had been previously treated to differentiate into spinal cord-specific motor neurons. Fortunately, the MNPCs prodigiously formed lower motor neurons that made good, solid, functional synapses with interneurons and upper motor neurons that improved forelimb movements in the rats. 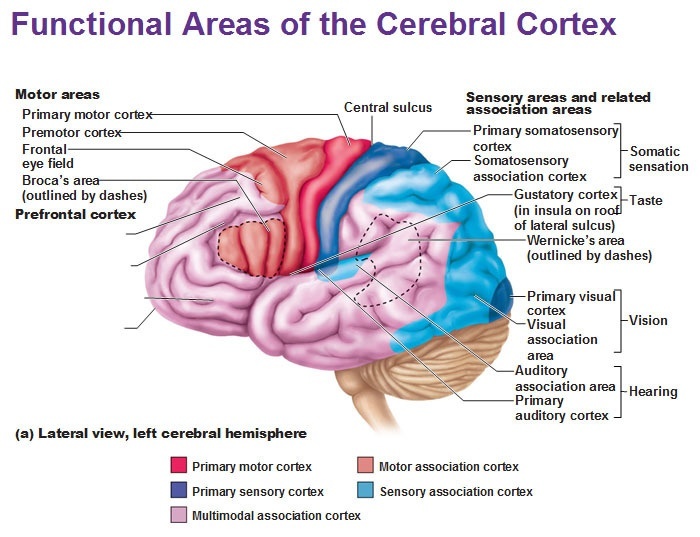 This work put the lie to previous beliefs about corticospinal neurons; namely that they lacked any of the internal mechanisms required to regenerate severed or damaged connections. Even though several previous studies have demonstrated functional recovery in spinal cord-injured rats through the use of stem cell-based treatments, none of these studies has convincingly demonstrated regeneration of corticospinal axons. This is certainly exciting work, but even though it worked in rats, it may not yet work in humans. The road from pre-clinical studies in animals to clinical trials in humans is a long, tedious, frustrating, and uncertain pathway, pockmarked with the failures of past therapies that worked well in animals but failed to translate into successes in human patients. University of Cambridge and EMBL-EBI researchers have revealed that differences in gene expression begin emerge earlier in human development than originally thought. According to the Cambridge and EMBL teams, genetic differences arrive as early as the second day after the completion of fertilization. These four cell-stage embryos consist of four “blastomeres” that appear identical in size and shape. However, even at these early stages, these four blastomeres are already beginning to display subtle differences in gene expression. Fertilization of an egg (oocyte) by a sperm is a multistep process that begins with the contact of the sperm with the jelly layer that surrounds the egg (zona pellucida), and the acrosomal reaction of the sperm, contact of the egg and sperm membranes, followed by fusion of the egg and sperm membranes, egg activation, disassembly of the sperm and remodeling of the sperm and egg pronuclei, contact of the sperm and egg pronuclei, and culminating in the initiation of the first mitotic division. The first cell division or “cleavage” occurs approximately 24 hours after the initiation of fertilization, and forms the two-cell embryo. The next cleavage occurs about 12 hours later, and the blastomeres initially divide synchromously (at the same time), but eventually divide asynchronously (at different times). During these early cleavages of the zygote, special embryonic cell cycles and include S phases and M phases that alternate without any intervening G1 or G2 phases. Therefore individual cell volume decreases. About day 4, the embryo is a solid ball of 16-20 cells with peripheral cells flattened against the zona pellucida, and compaction occurs forming a cavity that leads to the next blastocyst stage, which is a large free-floating ball of stem cells. At first, the blastomeres of the early embryo are “totipotent,” which means that each blastomere can potentially divide and grow and produce every single cell of the whole body and the placenta. After compaction, two cell populations emerge that include, round, slow-dividing cells in the center and fast-growing flatter cells on the outside. The central cells of the inner cell mass have a “pluripotent” status, which means that they can generate the cells of the whole body, but not the placenta. However, the point during development at which cells begin to show a preference for becoming a specific cell type is unclear. At this point, the new study, which was published in the journal Cell, presents rather convincing data that even as early as the four-cell embryo stage, the cells are indeed different. The EMBL/Cambridge teams utilized the latest sequencing technologies to model embryo development in mice and examined the activity of individual genes at a single cell level. This analysis showed that some genes in each of the four blastomeres showed distinct genetic signatures. The expression of one gene in particular, Sox21, differed the most between cells. Sox21 is part of the so-called “pluripotency network.” The pluripotency network consists of a cascade of genes that are essential both in culture (in vivo) and in vitro (in the organism) for early development and maintenance of pluripotency. The EMBL/Cambridge teams discovered that when the activity of Sox21 was reduced, the activity of a master regulator that directs cells to develop into the placenta increased. This research tends to diffuse one of the arguments embryonic stem cell proponents use to justify the destruction of human embryos. Namely, the early human embryos consist of cells that are all the same and have no interactions with each other. The embryo is, then, not an individual organism, but a collection of many potential organisms that eventually becomes as unified organism. This turns out to be incorrect, since the cells of the early blastomere are not all equivalent. Instead, the blastomeres are interacting with each other and using these interactions to figure what kind of cells their progeny will form. This is the hallmark of an entity with a unified purpose that has a distinct goal. Folks, that sounds like a unified organism. It is simply young. Collaboration between scientists from mainland China, the University of California, San Diego School of Medicine and Shiley Eye Institute have developed a new, stem cell-based technique that permits remaining stem cells to regrow functional lenses after the diseased lens was removed. This treatment was initially tested in laboratory animals, but it has now been tested in a small human clinical trial. This procedure produced far fewer surgical complications than the current standard-of-care. The real boost is that this regenerative procedure resulted in regenerated lenses that had superior visual qualities in all 12 of the pediatric cataract patients who served as subjects for this clinical trial. Kang Zhang, MD, PhD, chief of Ophthalmic Genetics, founding director of the Institute for Genomic Medicine and co-director of Biomaterials and Tissue Engineering at the Institute of Engineering in Medicine, both at UC San Diego School of Medicine, said: “An ultimate goal of stem cell research is to turn on the regenerative potential of one’s own stem cells for tissue and organ repair and disease therapy.” Zhang and his colleagues published their work in the journal Nature. Cataracts are cloudiness over the lens of the eye that blurs vision. The lens consists mostly of water and protein. When the protein aggregates, it clouds the lens and reduces the light that reaches the retina. This clouding may become severe enough to cause blurred vision. Most age-related cataracts develop from protein clumpings. You do not have to be older to suffer from cataracts. Congenital cataracts occur at birth or shortly after birth. Scarring of the retina or prenatal damage to the eye can cause congenital cataracts. Congenital cataracts are a significant cause of blindness in children. Current treatment for congenital cataracts is limited by the age of the patient. Most pediatric patients require corrective eyewear after cataract surgery. To address this medical need, Zhang and colleagues examined the regenerative potential of endogenous stem cells on the lens. Unlike other stem cell approaches that involve creating stem cells in the lab and introducing them back into the patient, Zhang decided to use stem cells that are already in place at the site of the injury to do the heavy lifting. In the human eye, lens epithelial stem cells or LECs generate replacement lens cells throughout a person’s life, even though their production declines with age. Unfortunately, current cataract surgeries essentially remove LECs within the lens. Whatever cells might be left over produce disorganized regrowth in infants and no useful vision. 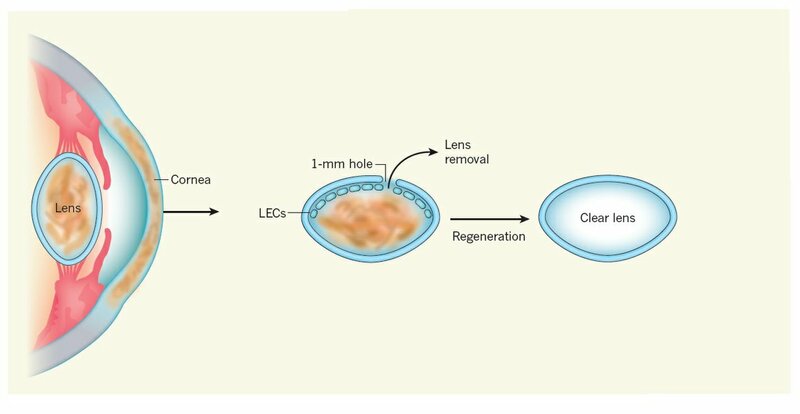 Zhang and his colleagues first confirmed that LECs had regenerative potential. To confirm this, they used laboratory animals. With that knowledge in hand, Zhang and his collaborators devised a novel, minimally invasive surgical procedure that removes the cloudy lens, but manages to maintain the integrity of the membrane that gives the lens its required shape (the lens capsule). With the lens capsule in place, the LECs were activated to replace the missing lens. Once again, Zhang and his team ensured that their technique worked in animals before they ever tried it on a human patient. Animals with cataracts whose lenses were extirpated, but whose lens capsules were left intact, regenerated new lenses that were devoid of cataracts and provided excellent sight. With their technique honed and ready, Zhang and others tested their procedure on very young human infants in a small human trial. They discovered that their new surgical technique allowed pre-existing LECs to efficiently regenerate functional lenses. In particular, the human trial involved 12 infants under the age of 2 treated with the new method developed by Zhang and others, and 25 similar infants receiving current standard surgical care. The results were stark: the control group experienced a higher incidence of post-surgery inflammation, early-onset ocular hypertension and increased lens clouding, but those infants who received Zhang’s new procedure showed fewer complications and faster healing. After three months, the 12 infants who underwent the new procedure had a clear, regenerated biconvex lens in all of their eyes. “The success of this work represents a new approach in how new human tissue or organ can be regenerated and human disease can be treated, and may have a broad impact on regenerative therapies by harnessing the regenerative power of our own body,” said Zhang. Zhang indicated that he and his colleagues are now looking to apply what they learned in this project to tackling the issue of age-related cataracts. Age-related cataracts are the leading cause of blindness in the world. Over 20 million Americans suffer from cataracts, and more than 4 million surgeries are performed annually to replace the clouded lens with an artificial plastic lens (intraocular lens). Despite technical advances, a large portion of patients undergoing surgery are left with suboptimal vision post-surgery and are dependent upon corrective eyewear for driving a car and/or reading a book. “We believe that our new approach will result in a paradigm shift in cataract surgery and may offer patients a safer and better treatment option in the future,” said an optimistic Zhang.